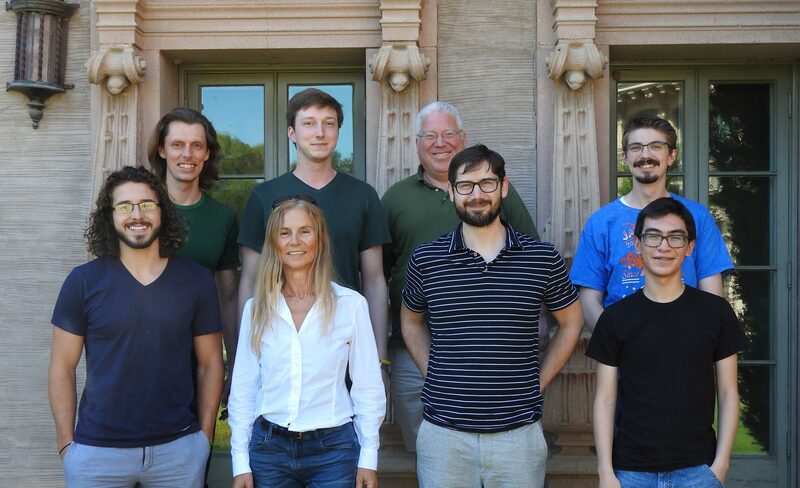 Audio engineering technology students and faculty recently attended a workshop at Stanford University on “Perceptual Audio Coding” used to create MP3 files of musical recordings. Braden Carei (BSAET), Paul Mayo (MSAE), Brian Cofer (MSAE), Phil Knock (recent graduate), and Dr. Eric Tarr (Assistant Professor of AET) all participated. The workshop was presented by Dr. Marina Bosi, former CTO of MPEG LA and lead engineer at Dolby Labs for the development of the AAC format, as well as Dr. Richard Goldberg who co-authored the textbook on digital audio coding. During the workshop, each participant created a custom audio coder by modifying the MP3 algorithm.